Manual: Buy a repair manual for your specific bike. It will pay for itself in the money you will save doing repairs and will be invaluable with diagrams, pictures, and information about your bike. Cables and Brakes: Brakes and cables can and will fail if they have not been properly maintained. Many older bikes use only mechanical brakes, while others use hydraulic brakes. If yours uses cables, pay particular attention to where the cable is exposed and has the most degree of movement such as where it’s attached to the lever and where it’s attached to the brake arm. If there are any frayed strands of wire coming off the cable anywhere, replace with an OEM motorcycle part. If the cable seems sticky at all, go ahead and replace it. You can also use some light oil (30 weight or less) and lube the cables. To do this tape a funnel to the top of the cable and then slide the cable up and down in the housing to work the oil down the inside of the cable. It’s a good idea to inspect the brakes hardware as well. Check caliper boots and seals for cracks and put a tiny dab of grease on the drum brake cam (don’t put too much on as you don’t want it to get anywhere else) for smooth operation. Fuses: Most older bikes use the glass style fuses and these can become corroded with time and weather and do not conduct as well. In some cases the metal caps separate from the glass body of the fuse. If they look at all in bad shape, replace them, especially since it will only cost you a few bucks to replace all of them. Always keep a couple spare fuses in your tool kit as well. Carburetor: If the bike has been sitting for a while, it doesn’t hurt to do a thorough cleaning of the carb. Using the manual you purchased in step one, disassemble the carb paying particular attention to the slide, main and secondary jets, all passages, float bowl (especially the bottom where the main jet pulls fuel), and the float valve. Be especially careful that everything is clean when reassembling as even a small piece of dirt can cause problems with the float valve. It’s always a good idea to put a clear plastic inline fuel filter on the gas line going to the carburetor. This will protect your carburetor from foreign contaminants and also tell you what condition your gas tank is in. When going through the carburetor, be sure to get a carb rebuild kit and replace all the gaskets and seals. Always use OEM parts when replacing carburetor parts such as gaskets and jets. Check the float valve for wear. If there is a noticeable wear line or you have problems with fuel coming out of the overflow tube, replace it with a float valve that has a rubberized tip. If your carb uses vacuum actuated slides, check the diaphragms for holes or cracking. Gas tank: Fuel tanks on older bikes are notorious for having cancerous rust. Remove the fuel cap and inspect the inside of the tank thoroughly for rust. If there is rust, there are treatments available such as Kreem, which treats the rust and then coats the inside of your tank with a plastic type coating. This type of treatment can be very effective even on pretty rusty tanks. If it’s really bad, you may want to look at finding a replacement tank from a salvage yard. Seat: While not always a critical issue, many seat pans on older bikes can be very rusty due to water getting trapped in the foam and sitting on metal for long periods of time. Check the seat for cracks in the vinyl and remove or lift up the seat and inspect the underside for rust. Aftermarket seat covers are readily available online but a new seat pan may be more difficult to track down. Your best bet for a pan would be a salvage yard. Spark plugs: Check the spark plug(s) for signs of engine problems and replace or clean if necessary. They will tell you a lot about the condition of the engine. Make sure the gap is set correctly according to your repair manual. Also check plug wires for cracks or wear and replace if necessary. Air filter: Check the air filter and clean/replace if necessary. Paper filters are generally not very serviceable other than blowing off with compressed air, so replace if you can’t see light coming through it. Hoses: Hoses tend to get brittle and crack after years of use. Inspect all fuel lines and breather tubes for cracks and replace if hose is stiff or brittle at room temperatures. Also check coolant hoses and oil lines for cracks, leaks, and signs of wear. In conclusion, always use genuine OEM factory motorcycle parts for critical parts so you know they will be up to factory specs and fit perfectly. If you’re not sure where to get parts from, check out the post on buying motorcycle parts. Have fun and be safe! They have an article that tells you to do your homework before you plunk down your cash, attend rallies and shows, read Cycle Trader, you know, take a few weeks to become an expert so you can buy the hidden gems out there. I just love this website because it has all the things I need about bike handling. From vintage to the most current bikes, they know how to handle everything. I must share this to other bike enthusiasts. I guess it is just different to have a vintage motorcycle. People will really turn heads when they see one. It is important though that the owner knows how to take good care of it by learning proper maintenance. Thanks a lot for this post. If you are buying a machine that is on the road, make sure that you give it a thorough and quite demanding test in advance. If there are undeclared problems with it you will want to discover these before you start writing cheques rather than afterwards. Indeed, vintage motorcycles are cool and elegant but it is not easy to maintain them because their mechanisms are quite old as well as their parts. 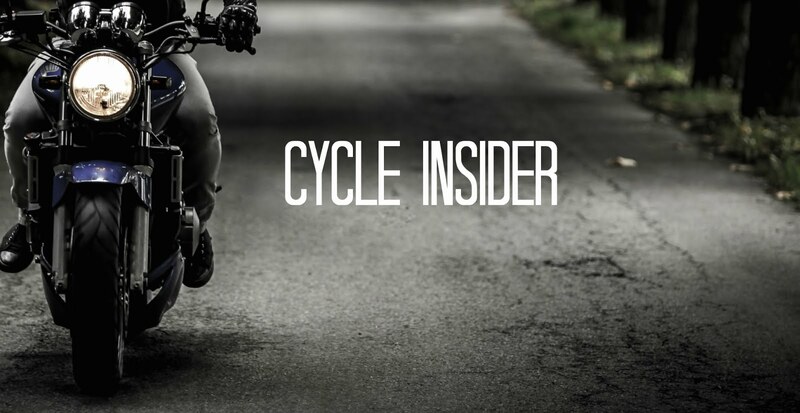 You have to know how to handle every bits and pieces so as not to hinder the bikes functions.